Pop Art. Art Words and Terms at Biddington's. BIDDINGTON'S POP ART GALLERY BIDDINGTON'S Home & Search. Pop Art is a 20th century art movement that utilized the imagery and techniques of consumerism and popular culture. Pop art developed in the late1950's as a reaction against Abstract Expressionism and flourished in the sixties and early seventies. Pop Art favored figural imagery and the reproduction of everyday objects, such as Campbell Soup cans, comic strips and advertisements. The movement eliminated distinctions between "good" and "bad" taste and between fine art and commercial art techniques. Where did Pop Art occur? 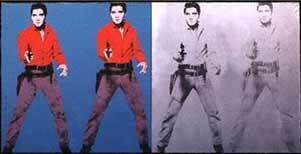 Pop Art developed primarily in the United States and Britain. In the US, it was linked to the wealth and prosperity of the post World War II era, and artists of the movement responded to the nation's consumer society. Pop Art in Britain was less brash, and had a more nostalgic flavor. Who are the leading artists of the Pop Art era? Richard Hamilton's famous work, "Just What Is It that Makes Today's Home so Different, so Appealing? ", is considered by many to be the first Pop piece because of its many references to popular culture and consumerism. 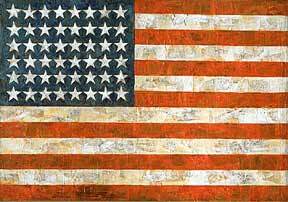 Jasper Johns and Robert Rauschenberg were some of the first Pop artists in America, and used popular imagery such as the American flag and beer cans in their paintings, prints, collages and "combines". 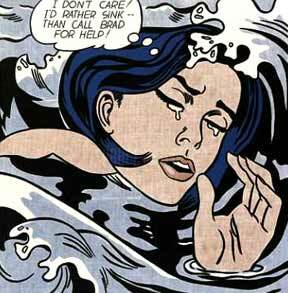 Andy Warhol is known for his silkscreens of both famous people and everyday objects, while Roy Lichtenstein employed a comic strip style in his paintings and manipulated those illustrative techniques to great aesthetic effect. The leading Pop artists in Britain included David Hockney, R.B. Kitaj, and Allen Jones. 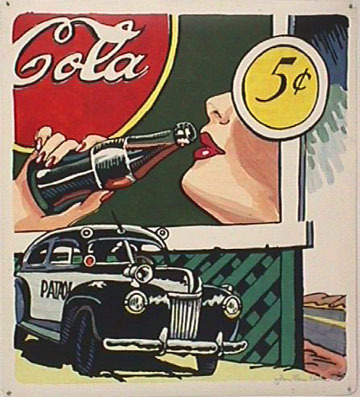 Important Pop Art elements, such as employing commercial art techniques & toying with the fine vs. applied art boundary, appear in the work of Pop artist John Clem Clarke.